Weekend Gallimaufry with a Tribute To Eugene O'Neill featuring excerpts from many of his plays, as performed by some of the best known actors of the Theater in the 1950's. Probably a dim-distant name now and certainly, listening to these performances today you wonder what the big deal was, since acting methods today have changed substantially since even the 1950's. But you have to understand that before Eugene O'Neill came along, plays were mindless or overblown morality exercises, usually suited for the wild over-acting of the time. O'Neill offered something audiences in this country had never seen before - honest depictions of realistically drawn characters in well crafted dramatic situations. Drama that made you think. And frankly, that took some getting used to for an audience ingrained with bedroom farce or hysterics. 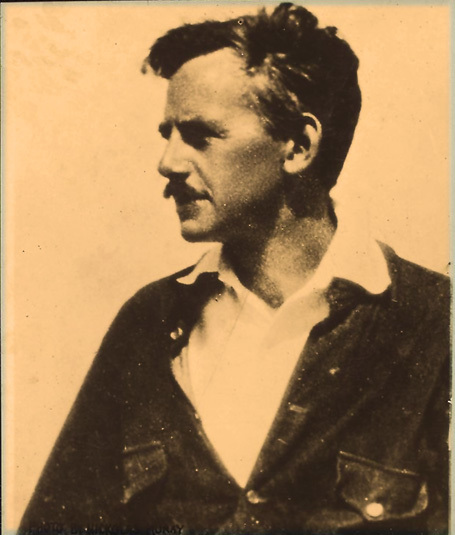 Over time, Eugene O'Neill became the motivating voice for innovation on Broadway, and many have considered the period of his time as the Golden Age of Drama in America. O'Neill died in 1953 after a very long bout with Parkinson's Disease and this broadcast, as a tribute to Eugene O'Neill on May 15, 1954 was a star-studded occasion with some of the greatest names on Broadway Theater performing scenes from some of the most memorable O'Neill plays. So as a change of pace, and maybe as a possible new feature of offering complete plays on Newstalgia during the weekends, I'm posting this tribute to Eugene O'Neill, narrated by the legendary Theater critic Brooks Atkinson and featuring performances by Shirley Booth, Helen Hayes, Oscar Homolka, Franchot Tone, Joseph Cotten and many others. Let me know if this appeals to you. If yes, I will - if no, never mind.